Handsfree Group engineers operate across the UK and are experts in specialists vehicle communication, safety systems, and security. We are extremely proud to work in partnership with most of the leading fleet operators in the industry. Handsfree Group install equipment supported by CLOCS guidelines to encourage companies to improve the specification of safety equipment on large vehicles in order to make roads safer for cyclists. Visit the CLOCS website for more information. Handsfree Group provides advice and carry out the appropriate installations for your vehicles to be complaint with CLOCS standards. With this in mind, the Fleet Operators Recognition Scheme (FORS) was established to raise the quality of fleet operations throughout the country, and to allow companies to demonstrate that they operate within the high standards set. Handsfree Group advise on the type of equipment and specifications you need to make your vehicles FORS compliant. We also fit out your vehicles according to recommendations. 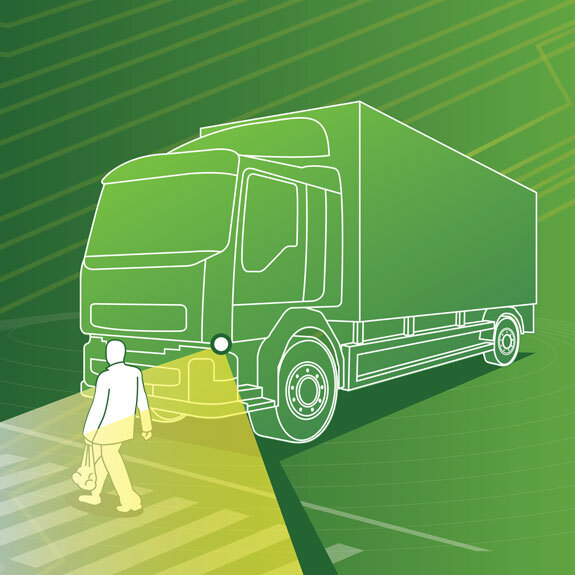 The side detection system is an ultrasonic sensor system designedto warn and assist drivers of their vehicle’s position inrelation to cyclists and pedestrians, and to warn them ofthe vehicle’s intention to turn left. Today, driver awareness has become a must, especially when youconsider the physical constraints on US highways and theincrease in cyclists and pedestrians sharing our roads. 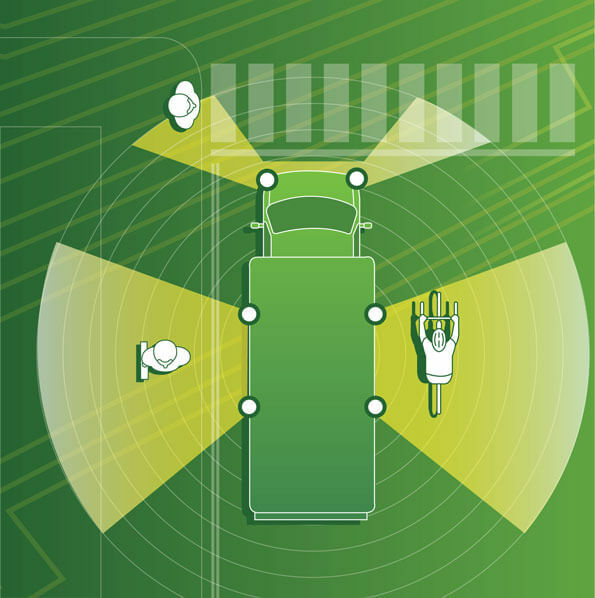 Installing a side detection systems helps reduce accidents,downtime and vehicle damage. It also saves you money on costly insurance premiums and third party claims. When the left hand indicator is switched on the in cab, speaker says “CHECK NEARSIDE MIRROR” (only once, each time the indicator is pressed). Most cyclist fatalities happen at low speeds, typically at roadjunctions and when moving off from a stationary position. 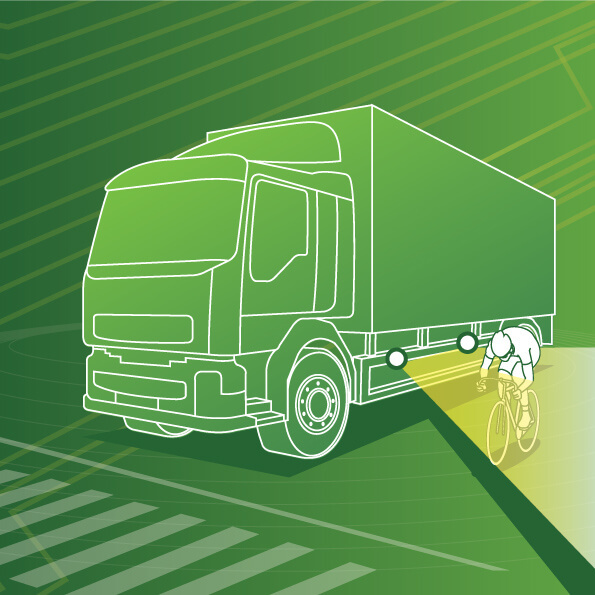 A flush mount side view camera, triggered by the indicator solves thisproblem by giving a clear view of the nearside blind spot, wherevulnerable cyclists and pedestrians are often hidden from thedriver’s view. Camera monitor systems have brought driver vision into the twentyfirst century offering wider angles of view and multiple images ona single monitor. They can help eliminate blind spots to preventcostly vehicle damage and ultimately save lives.